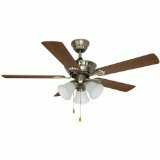 Aloha Breeze ceiling fans are mainly sold at WalMart. They do not have the best construction; they are mainly made of plastic. They don't move much air around. Users sometimes ask - how do I repair an Aloha Breeze ceiling fan? The truth of the matter is, these are mainly cheap fans that are not worth repairing, only replacing. We have also heard from users as well that Aloha Breeze does not have much in the way of customer support, so finding Aloha replacement parts in order to repair a problem can be frustrating and difficult. 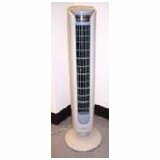 If you are able to find replacement parts for your Aloha Breeze fan, you may find that replacing the parts actually wind up costing you more then the cost of the fan. For this reason, it may be better to simply replacing a malfunctioning Aloha fan, then it may be to repair it. Aloha Breeze simply does not have many products that are available online. We have a few of their fans listed here, but we haven't been able to find a whole heck of a lot to list here. 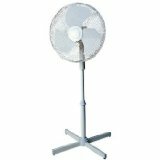 Aloha Breeze makes oscillating stand fans as well. This fan is relatively inexpensive - $40 only. We review this fan further on down the page, so you can scoop it up quite feasibly if you are interested. Aloha Breeze is sold mainly at Wal-Mart. They are not of the highest construction build and often times may not last you very long. Or, you may find one of these fans does last you a while. It's all dependent on the environment in which the fan is active in, and what kind of conditions the fan is operating under. Aloha Breeze ceiling fans are manufactured by Litex company. 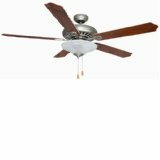 We have Litex listed here on this website as well, and offer reviews of other ceiling fans & fans that they manufacture. 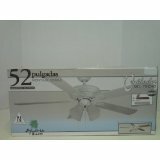 I recently purchased a brand new Aloha Breeze ceiling fan from WalMart. The fan did not come with any screws or fasteners to put the fan together. What should I do about this? Can you help me? 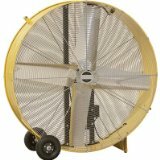 This question about Aloha Breeze indoor fans answered here.